Insulated boots are naturally warmer than non-insulated boots, but both types have their pros and cons. 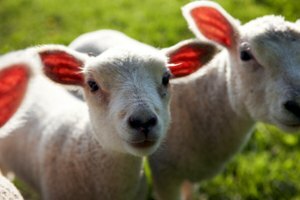 Insulated boots feature materials that naturally keep in the warmth, such as sheepskin, or contain a separate insulating layer. This layer may be thick or thin, and is sometimes removable. Choose the right boots by determining the activity you need the boots for, as well as the price you want to pay. Insulated boots provide extra cushioning and warmth when compared with non-insulated boots. 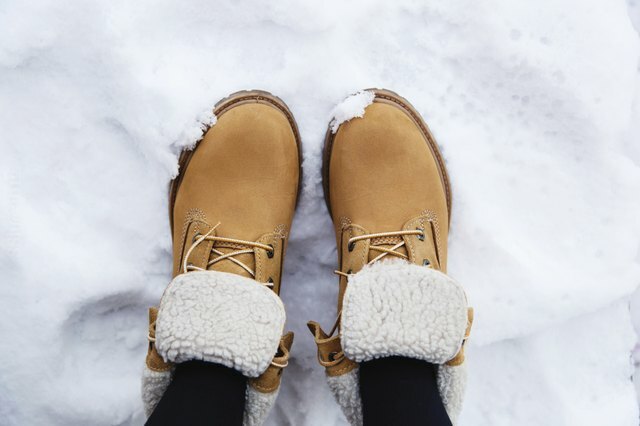 Insulated boots are often worn for outdoor activities or in inclement weather, like deep snow or slush, where their heft and lining provide stability and warmth in cold temperatures. Non-insulated boots are less bulky and are better suited for milder temperatures. Non-insulated rain boots are useful for walking in the city or through wet weather, while leather fashion boots are durable and stylish enough for daily wear in the city. Insulated boots may be too warm in mild temperatures, and the thick padding can cause your feet to overheat during activities that require constant motion, such as hiking. The material for the outer portion of insulated boots may be thicker and less breathable to keep the insulation dry. You may wear non-insulated boots, on the other hand, in warmer temperatures, but they are less protective in the cold. Insulated and non-insulated boots can vary greatly in price. If you live in a mild climate, ask whether it makes sense to pay for a pricey pair of insulated boots that you may use only once or twice a year. Choose boots based on your activities. If you plan to spend extended periods of time outside in cold weather -- such as during a winter hike, while shoveling snow or snowmobiling -- then insulation is a must. In milder temperatures, such as during spring or fall, you can make do with a pair of thick socks and non-insulated boots, such as a pair of high quality leather boots to go to and from school. If you live in a rainy climate, waterproofing qualities may be more important than insulation. Even in the cold, you may be able to manage with non-insulated boots and a form of removable linings. 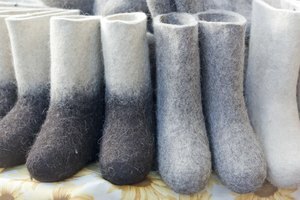 Many rain boot manufacturers make removable linings, or wear extra layers, such as a pair of woolen socks, with your boots. A pair of insoles can provide the extra cushioning and insulation you want, too.